Working for yourself doesn't mean you're running a professional operation. For some people, freelancing is a gainful career. For others it's merely a way to sustain their existence, at least for a while. Working for yourself doesn’t mean you’re a professional. Professionals are service providers. They’re strategic. They plan. They set goals. They evaluate their progress and revamp their approach when things aren’t headed in the right direction. Does that sound like you? If not, you may be a laborer. Many freelancers are. They’re in the field to work and get paid, and that’s basically all they think about. 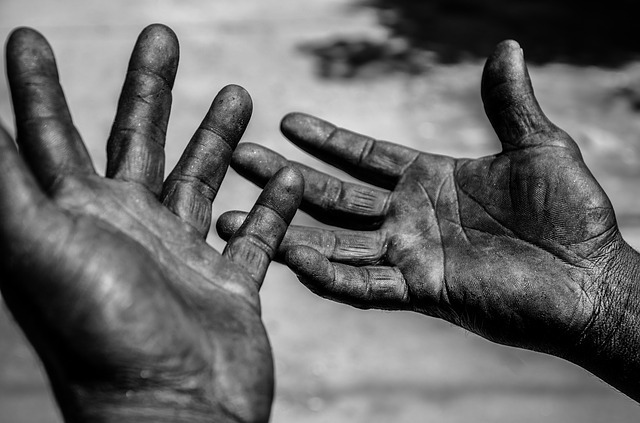 If you’re not quite sure, here are signs you’re a laborer, not a professional. You prioritize volume over value. You think as long as you’re busy your business is in order. The more gigs you get, the more clients you have, the better you feel. Never mind that you aren’t getting anywhere and you’re struggling as much this year as you were last year. Laborers focus on volume but they don’t think about the numbers that matter, like expenses, time and profit. You accept whatever work you can get. Never mind the details. Never mind whether you’re interested in the project. Never mind whether it’s worth your while or in your best interest. There’s work to be done so you do it. You may or may not read it, but one thing you definitely aren’t going to do is crack your lips about the details. You allow clients to state the terms of what you’re going to do, how you’re going to do it and when and how much you’ll be paid—whether you it like it or not. You let clients make demands like you’re an employee. Your clients don’t have to ask you if you can take on additional work. They tell you they need you to do more work. They tell you what they’re expecting from that work. And they tell you when they want to have it completed. Your clients don’t have to ask you if it’s possible to make changes. They tell you they’ve decided things need to be done differently and give you a deadline to comply. Whatever they say, you bend and bow to accommodate it. You don’t adjust your rates or fees. You may have a fixed rate for a specific service or you have an agreement that outlines what’s included in a project and how much you’re charging for that work. But if a client comes later and asks for extras, you don’t charge any extra. People in your inner circle work you for free. People around you don’t view you as a professional providing professional services. And you don’t make it clear that you’re operating a business and family and friends need to pay just like everyone else. People you know can call in favors for people they know. You’re not concerned with growth or improvement. You have a fairly set routine for finding work and marketing—if that’s what you want to call your efforts. Beyond that, you don’t do much to find more work, better work or convince your clients to spend more money. You don’t have a strategy for, or give any thought to, growing your business. For the most part, you just keep your head down and focus on the work that comes your way. You don’t invest in your business. All of your earnings are personal income and you use the bulk of it to cover personal expenses. If you need something to get a job done, sure, you’ll get it. If something breaks, sure, you’ll replace it. But you don’t spend to upgrade your business and you’ve certainly never thought about devoting a portion of your income to a business account and reserving those funds for business purposes only. You treat yourself like a laborer–no benefits, no perks. You don’t have health insurance or a retirement account. You don’t have a strategy to save for vacations, illness or moments when business is slow. You just work and spend, hoping it all works out in the end. Just like a laborer. Separator image and tagged with client relations, competition, work habits.